Your Child's Musical Journey Begins Here! Make My Day with Music! Find the Keys to Your Musical Success! Improve Your Sound and Confidence, Sing! Yo ur Child's Musical Journey Begins Here! Welcome Parents, Grandparents, Teachers, and Students to the Music Moments of North Georgia website! Music Moments in Northern Georgia exists to encourage children and parents to learn and grow together through music making and learning. Music Moments provides a loving environment for your child to experience the wonders of music, which will stimulate his/her brain to build the language, mathematical, and social skills he/she will need for learning in school and throughout life. "Explore the Journey" to figure out why music is beneficial for your kid(s)! Piano lessons have been known to increase a child's cognitive abilities. "See the Journey" by checking out our classes to see where your child may fit best! Please feel free to email, call, or text us with any questions you may have. "Begin the Journey" will help answer any and all questions concerning the Music Moments process. Feel free to contact us if you have any questions! Receive a FREE video about your child's learning potential! The Kindermusik Advantage Here's what one long-time Music Moments parent believes is the advantage of Kindermusik! 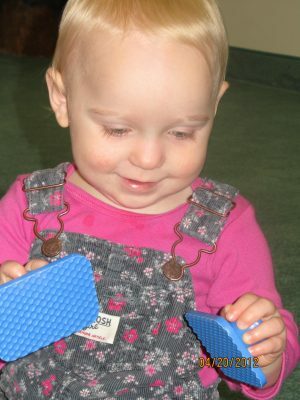 Dear Bonnie, I just wanted to offer my testimony about how your Kindermusik program was a great introduction to music for Emma. She developed an interest and appreciation for the basic fundamentals of music. The participation and creativity gave her an inspiration to learn the piano. The Kindermusik approach is an excellent start, and I recommend it for parents who wish to invest in the life long, rewarding gift of music for their child. Thanks for being a gifted and enthusiastic musician and teacher. Both the foundation of Kindermusik and the excellent piano program are responsible for developing Emma as an accomplished musician and pianist. May God richly Bless you and your students! "Playing piano has given Nathaniel a sense of pride and confidence knowing he has a skill that most of his classmates do not have. He loves to show off his talent whenever he has the chance. Without music, I think he wouldn't be as outgoing. Music has also helped him focus and be dedicated!" Jennifer, whose son took piano lessons in Ellijay. "David's piano lessons have sparked an interest in making his own compositions. I believe that that 'musical spark' and interest will serve him for a life time." - Ulrich, whose son has been taking piano for 3 years . "Kindermusik has been as the opening of a window to behold an expansive horizon for David and Matthew. It has not only introduced them to music appreciation and it's related concepts, but has created the opportunity for future musical exploration and enjoyment." - Ulrich, whose boys were in Young Child Class, from Ellijay. "Kindermusik has provided my boys with not only an excellent introduction to music, but also an opportunity to build confidence through performance. I like the way Bonnie taught them several [music] basics in a logical sequence, and then combined everything such that the children learned to read music and performed several short pieces in a manner of weeks. I also liked the multi-sensory approach - the boys were on their feet, playing games, pretending to be notes on a staff... learning while moving. Learning about different instruments prompted one of my boys to express interest in studying the flute, which was an unexpected outcome of the class. Finally, the joy of successfully performing at the recital was a phenomenal confidence - builder, the benefits of which will extend to other areas of their live. Thank you, Miss Bonnie!" - Teri, whose boys were in the Young Child Class, from Ellijay. "Kindermusik has been such a blessing to our family. 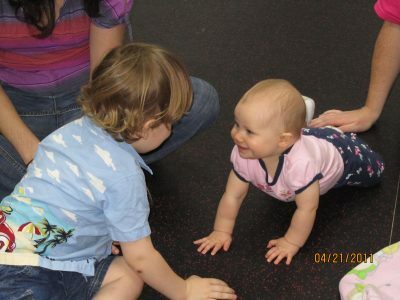 We began in the baby class with Miss Bonnie and it was such a wonderful bonding experience for my son and I. He still loves to listen to the CD from this [baby] class. The Sign and Sign class was fantastic when he was beginning to talk. IN his most recent class, Young Child, it has been amazing to see the progression from the start up until now. I am so graeful he has this wonderful base [of musical knowledge] to build on. I feel like Kindermusik was invaluable in his language development. Thanks so much Miss Bonnie." Ms. Bonnie Bost is a wonderful piano teacher. My sons are both enjoying having her as their teacher. She relates very well to both of them and has been able to get them excited about their lessons. The practice sheet she sends home is very detailed and helpful for both the parent and child. We would definitely recommend Ms. Bonnie Bost as a music teacher. New Year, New Location, Welcome to Kindermusik! New Year, New Location, New Friends! Happy 2019, Kindermusik Families! I am excited to announce our new, fantastic location at Duet Dance Academy. We’ll be meeting at 2870 E ..
51 Reasons to Protect Arts Education 51 Reasons to Protect Arts Education Across the education system budgets are being squeezed. Sadly, the first thing to be placed on the chopping board is often Arts Education. This ..
Bring a Friend, Make a Friend Bring a Friend, Make a Friend Starting THIS Saturday, January 26, 2019, all fantastic friends are invited to Kindermusik. Come and make a new friend and bring a new friend a long .. Does Your Baby Sign? ..